A great video from our colleagues at Southcoast Yachts in San Diego that shows just how easy the Oceanis 45 is to sail... single-handed! 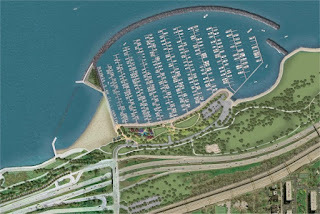 Perhaps she has caught your eye at Montrose harbor on one of your runs on the lakefront. Maybe it was off the Dever crib as she gracefully sailed by you. Perhaps it was in Monroe harbor as she made her way in from a day sail. Regardless of where you've seen the new Oceanis 45, we are sure that she made a lasting impression on you. Her lines are easy on the eyes and under sail she has the get up and go that many find impressive for a boat her size. Since her Lake Michigan premiere at the Strictly Sail boat show last January- the Oceanis 45 has caught on as the right boat for a majority of Lake Michigan sailors. The various places you have seen her isn't you seeing double- there are that many Beneteau owners who have fallen for her spell. Don't take our word for it, read what the sailing press has to say about her in Cruising World's review earlier this year. Big boat sailing was never so effortless. Isn't it time you found out first hand why the Oceanis 45 owners all have such big smiles on their faces? Call us for more info. 773-254-0200 and any one of our sales associates can spec one out for you. The orders are still coming in from the United States Sailboat show this past weekend (October 4-8) at the City docks in Annapolis, Maryland. Beneteau America is reporting a very strong order from the annual Fall show. "It was a great team effort and the beginning of an amazing year" said Denise Hanna- Dealer Sales Director for the North American branch of the number one boat builder in the world. The Beneteau 'docks' were buzzing with activity during the four days that the KYS team was in attendance. As of Tuesday, twenty-nine (29) orders for Beneteau sailboats had been submitted for delivery this Winter and Spring of 2013. Several Lake Michigan customers and prospective Beneteau owners made the trip out to 'naptown' to see the new models. Thank you to those that braved the nice weather for a weekend of sailing indulgence. For those that couldn't make it- There is still plenty of time to put your order in for delivery this Spring. Contact us for more information on trade-in evaluations and pricing. (CHICAGO, IL) –Karma Yacht Sales, LLC- your Lake Michigan Sailboat dealer specializing in Beneteau is pleased to announce the celebration of their tenth year of doing business. On September 30, 2002 Jack Buoscio and Lou Sandoval officially completed the purchase of Darfin Yachts LTD. and transitioned the 25 year old dealership into Karma Yacht Sales. “A lot has changed since our first location at 1945 S. Halsted Street” said Jack Buoscio, co-owner and founder. “We have grown our business organically to reflect the changing needs of the local sailing community”. Darfin Yachts had primarily been a dealer for Beneteau’s Cruising line of boats. With the introduction of the Farr Yacht Design’s First Series boats in 1999, Darfin helped seed the First 40.7 fleet in Chicago with the first six boats. 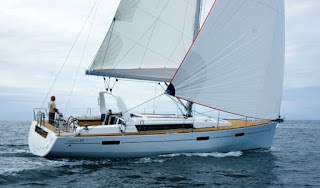 Jack and Lou built upon the success of the First 40.7 fleet, and in 2002 KYS began to build the largest one-design class Beneteau has ever seen in North America with the dual-purpose First 36.7. The racer/cruiser was a great catalyst for KYS growth as well, as Karma Yacht Sales became the largest FIRST dealer in North America, selling over 38 hulls of the boat on Lake Michigan and establishing the largest and most active fleet of 36.7’s in North America. 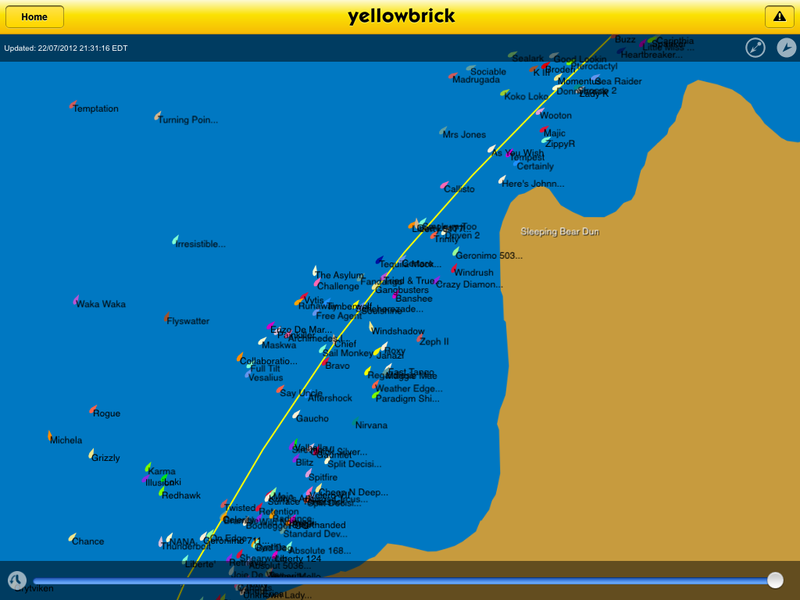 Both fleets continue to be active in Chicago’s sailboat racing scene. “It is really interesting, but many sailors think that race boats were our mainstay during that time” said Lou Sandoval, co-owner and founder. “While the race boats were popular, the cruising boats have been our mainstay. The build quality, innovation and value that Beneteau offers are some of the reasons why one out of every three boats sold in Lake Michigan is a Beneteau. For every racing sailboat sold, there are three to four cruising boats that help people ignite their passion for the water”. 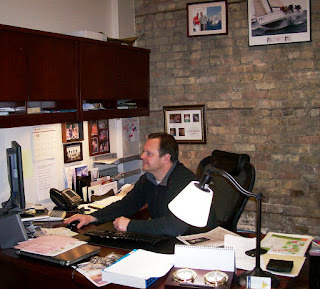 Karma’s main office is at 3635 S. Halsted in the Bridgeport neighborhood of Chicago, with a second sales office at Crowley’s Yacht Yard near the lakefront. 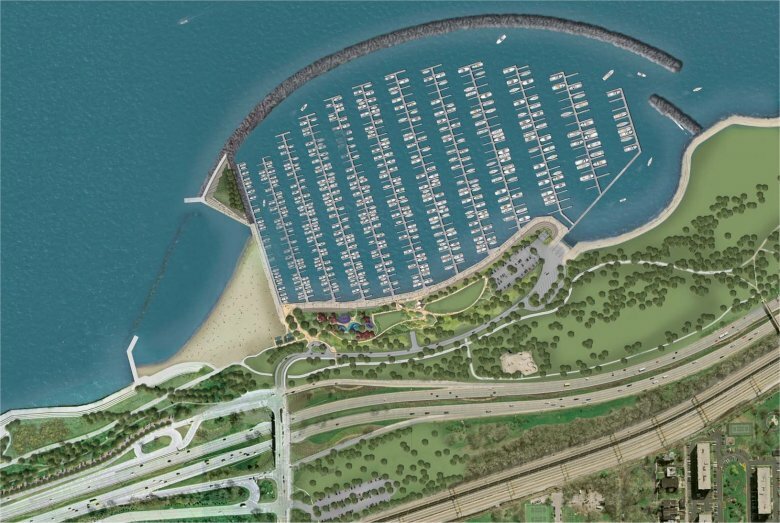 A celebration is planned later in the year at Chicago Yacht Club to commemorate their ten years of doing business. About Karma Yacht Sales: Karma Yacht Sales has represented Beneteau sailing yachts on Lake Michigan Since 2002. A recipient of Benteau’s Platinum dealer status, KYS is a full service dealership providing new boat sales, service and brokerage on Lake Michigan and throughout the Great Lakes. A recipient of Beneteau’s 2011 Dealer of the Year Award, KYS focuses on providing excellent customer service and has been recognized for their commitment to their clients by being perennial recipients of the Beneteau President’s Award for Sales & Service over the past decade. Living up to their motto: ‘Waves of good fortune follow admirable actions’ KYS is a supporter of youth and educational initiatives in their surrounding community. and power yachts up to 58 feet in length from its parent company in France. Making her North American debut this October 4-8 in Annapolis, MD is the FIRST 20. Visit the United States Sailboat show to find out more about her. 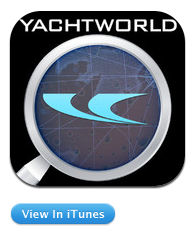 If you can't make it out East, we will have her at the Strictly Sail Chicago show January 24-27, 2013 at Navy Pier. Either way, you will be impressed at the performance and affordability packed into this twenty foot boat. Contact us for additional information or to find out about ordering one for yourself in time for Spring 2013. Don't you just love it when Labor Day weekend rolls around, the kids go back to school and Sunday afternoons are spent watching football? While some view it as the 'end of the season, it puts a big grin on my face as it really symbolizes the start of Chicago's 'second sailing season-FALL. I'll admit this upfront- I am a HUGE fall season fan. What is there not to like, the picturesque leaves, the amazing sunsets, boat-gating at Burnham harbor for Bears games (sorry my Packer friends)? Many sailors like myself also know that some of the best breezes on Lake Michigan happen in the Fall season. A great 10+Knots of breeze, sunshine and a few good friends make for a great opportunity to clear the Friday afternoon schedule and get out on the water. So think about that this weekend, as we turn the page on the Summer of 2012 and officially welcome Autumn equinox. Get out and sail! I'll know that you did because you will be the one with the big ear-to-ear smile! KYS Intro: We've been saying for a long time how in order to get people to catch the sailing 'bug' they have to visualize how much fun being on the water is actually all about. So here is your chance. The submission details are included below. 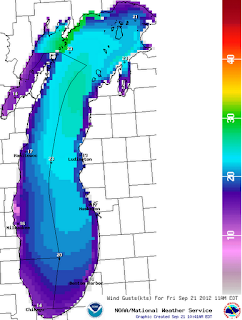 Let's have Lake Michigan be well represented having fun SAILING! Help Sail America Share the Beauty of the Sailing Lifestyle! Share your sailing photos and help Sail America twice! The Association is seeking photos to develop the groundbreaking new SailAmerica.com website and to increase sailing representation on DiscoverBoating.com. Both sites are looking for images that depict the sailing lifestyle; we encourage you to submit your favorite photos for consideration. Help us work toward our mission of promoting the sailing industry and share some of your favorite sailing day shots. We are looking to put faces to the experience of sailing. We need photos of people out enjoying the water. Please no “running shots” of boats standing alone. We need action shots of happy and smiling faces. For example, we would prefer a shot of a father and daughter trimming a sail to a long-range shot of a boat in the distance. Please send us the largest file size possible at the highest resolution available—preferably at least 300dpi—to provide us the most flexible end use. We can accept images via our ftp site, via CD to our mailing address, via file transfer service such as yousendit.com (send to Stephanie Grove’s attention), or we can pull them from an ftp site of your choice. We would ask that any images you send our way be royalty free (or at least not rights managed). For general questions or information about how to use any of the methods for transmitting images above please contact Stephanie Grove at 401-289-2540 or sgrove@sailamerica.com. Please acknowledge that any images you send in your response will be considered approved for public use by Sail America and its affiliates and may be published over the Internet. You will be asked to complete a photo release form by the Association before your images will be used. There is a saying among Mac racers that 'slow starting races finish fast' and the 104th held true to the formula. As sections were sent off starting at 1100 hours, the light breeze filled in for many of the sections as they made their departure from Chicago. Much of Saturday was spent working the West or East sides of the rhumbline up the lake. Boats varied in their approach to crossing the lake but most picked up a path to make their way accross the lake at the height of Kenosha to Port Washington, WI. 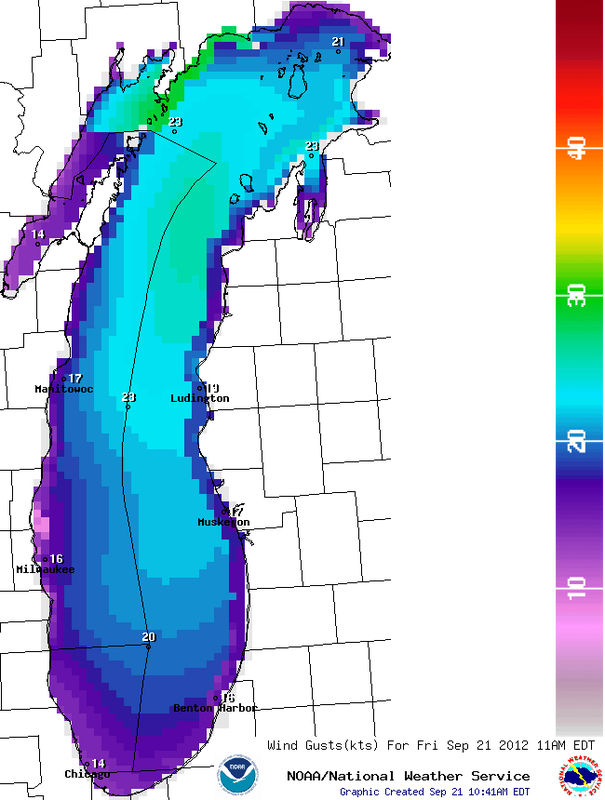 By Sunday morning, the offshore breeze filled in for most of the boats that stayed off the Michigan shore. 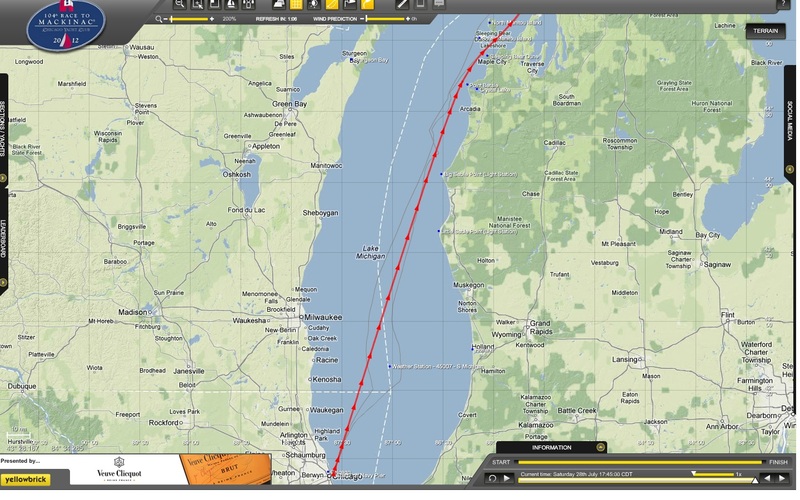 Sea breeze compacted the fleets into concentric groups all along the rhumbline from Point Betsie to Sleeping Bear Dunes. They stretched along the Michigan coast as the sun started to set Sunday Evening. Strong pressure from the West outside the Manitou's lured a few boats outside the Manitou passage into what some might consider the "Hail Mary pass" of sailing. Going outside the 'tous' (as they are called), paid off for the 40.7 leaders La Tempete and Das Boot. Six-time 36.7 Mac Winner Karma accompanied by Grizzly from Bayview Yacht Club also played the 'odds' and worked the outside of the islands between 930pm on Sunday to the early Monday morning hours. Gamblers bets that catapaulted both boats from 14th and 15th in fleet position to 4th and 7th place finishes respectively. Both boats reported sailing in breezes gusting to 21 knots under a beatiful starlit sky and average boat speeds in the early double digits. The kite work continued for the fleet through Grey's reef passage as the lead boats rounded Can #3 to enter the Straits of Mackinac- the breeze increased with gusts up to 19 knots for the great spinnacker parade down the straits and under Mac bridge. For a sample of just how much fun it was click on the enclosed you tube link. It has been written that 271 boats finished in a compressed amount of time between 0400 hours and 1200 hours on Monday July 23rd. Line Honors went to the Volvo Ocean 70 il Mostro owned by Mr. Peter Thornton who triumphantly brings the Royono Trophy back to Chicago Yacht Club after a four year hiatus with an elapsed finishing time of 35:38:19. The Mackinac Cup was won by Realt Na Mara a J109 owned by Tom and Joe Longdrigan of Springfield, IL tops in the 121 boat division. 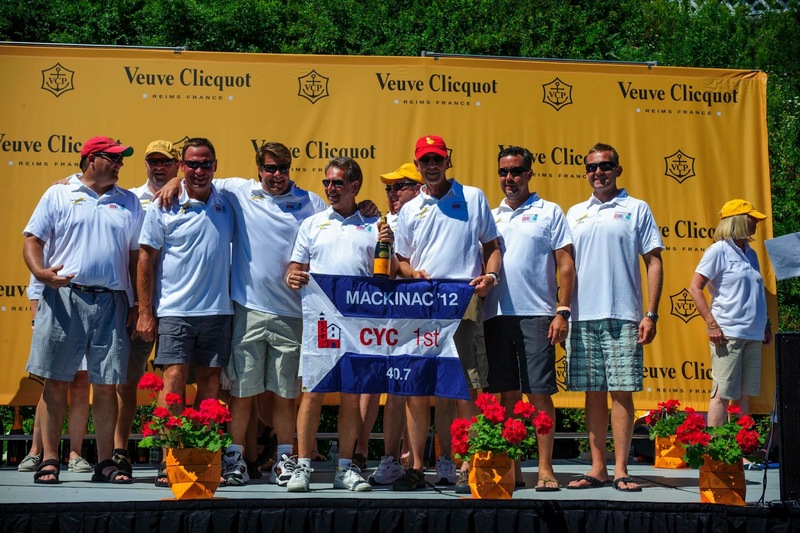 The Mackinac Trophy was won by Providence an Erickson 35 owned by Jerry and Greg Miarecki of Chicago, the top boat in the 146 boat division. In the Doublehanded Division, TFWB Relentless owned by George Petris of the Grand Traverse Yacht Club won the division for the second year in a row. The Cruising Division Overall was won by Intuition an S2 9.2A owned by Kershner, Hynes, Gillespie, Burns and Macainag. The Multihull Overall went to Pterodactyl and Line honors for first to finish were won by Ron White's Cheekee Monkee. 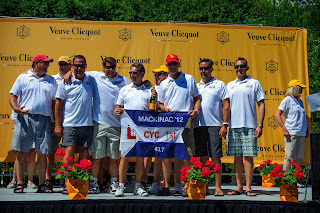 The 105th Running of the Race to Mackinac leaves on July 13, 2013 if you are a racer or cruiser you will not want to miss this race. Mark your calendars now. Alan Block of Blocksail interviews Lou Sandoval Co-Owner/Founder of Karma Yacht Sales and Race chairman for the 104th and 105th Chicago Yacht Club Race to Mackinac. Billed as the oldest and longest running freshwater distance race of it's kind, Lou explains some of the many items needed to coordinate a successful race. 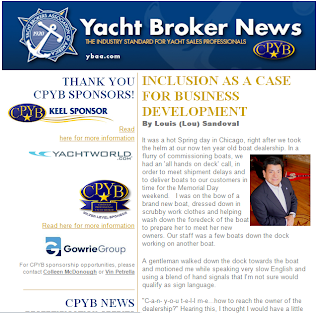 Karma Yacht Sales Co-Owner/Co Founder Lou Sandoval recently wrote an overview article on inclusion and diversity for the Yacht Broker's Association of American News. Karma Yacht Sales is proud to have been a part of the recent Boat Growth Summits held in Chicago. Like any other industry the Marine Industry continues to evolve to identify where the next generation of buyers will come from. The need to reach out to diverse market segments is a critical part of that growth strategy. Properly executed, outreach strategies can have a positive effect or the opposite. Mr. Sandoval identifies some factors that inclusion strategies should contain to be effective. Chicago Yacht Club members discuss how to get into boating with the CBS 2 Chicago news team. 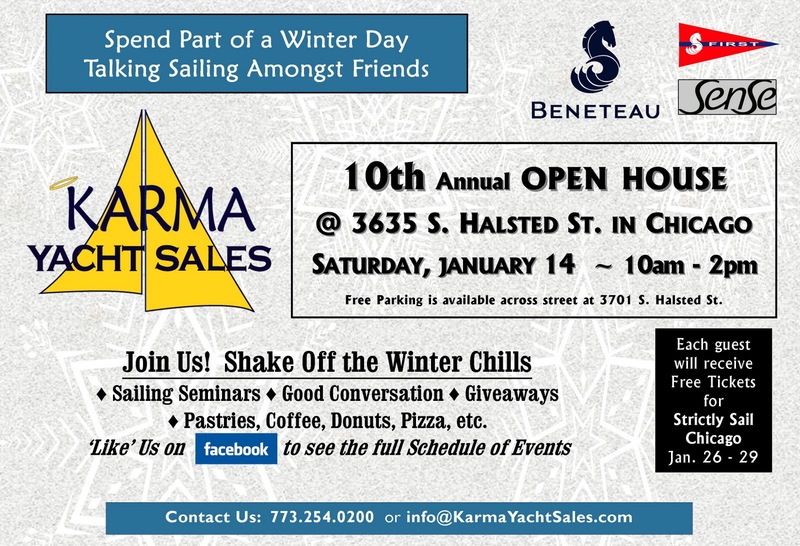 Karma Yacht Sales, showcases the number one brand on Lake Michigan- Beneteau and their NEW Beneteau Oceanis 45. 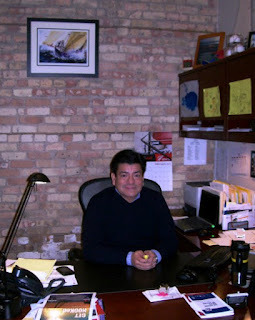 Karma Yacht Sales is glad to announce that we are now the local Service Center for SwitlLik in the Chicago area. 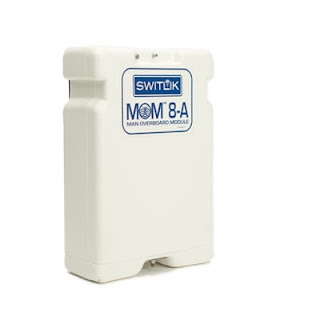 As many of our customers have purchased the Mom-8A Man Overboard Modules over the years, we noticed that the need (and expense) to have to ship units via common freight carrier added a layer of complexity to timely safety review and recertification of the Mom-8A units. Effective June 1, 2012 we are certified by Switlik to do the inspections and recertifications of the units in addition to being a retailer for the units themselves. 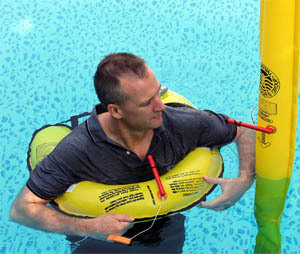 We offer base inspection and assessment of the units. Parts required for replacement are an additional charge. We also offer convenient pick-up and delivery of the MOM-8A units at your boat for a fee*. Newly purchased units are good for two years. Re-Certification is good for one year (12 calendar months) from date of service. To schedule your Mom-8A unit for service call or to inquire about rates- contact us at 773-254-0200 x2030 to reserve a spot prior to the busy offshore racing season. *This may not be available during peak rush times July 13-20, 2012. There is no better way to bond with your family and friends than on a sailboat. So why shouldn't that apply to a sailboat show? Aside from having the latest models of the #1 Sailboat brand on Lake Michigan, Visit the Beneteau Display (booth #240) at Strictly Sail this weekend on Navy Pier and we will have a special array of family friendly activities for the kids to do. We will have the Karma Kiddie Corner for Children ages 2- 9 Saturday and Sunday from 11:00am to 4pm. 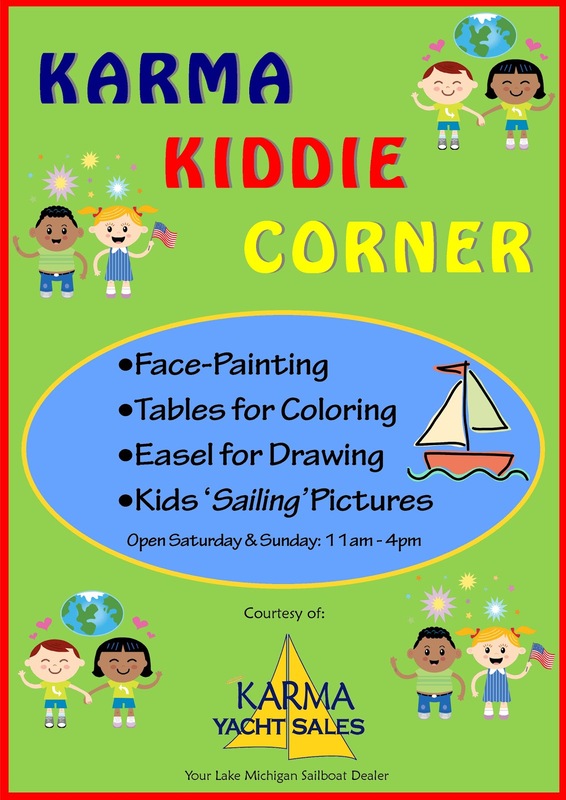 11:00am to 1:00pm Face Painting and Tattoos Join Randi from Cheeky Designs and get a nautical tattoo or face design. Additionally, at the show there will be RC boat races in the sailing tank on the East end and the Sailing Simulator and other activities for the family. So if you sail, have an interest in sailing or are just a bit curious about exploring Chicago from the water- come down to Navy Pier and visit us at Strictly Sail. It may be January in Chicago, but it's never too soon to talk sailing! Enclosed is the line-up of seminars and speakers for our 10th Annual Open House. If you have not done so already, make sure to submit your RSVP as it will be a full house. “Cruising Sail Trim- Getting the most enjoyment out of your leisure sailing"
Seminar: Nothing increases the enjoyment of your boat than maximizing the performance of your boat while under sail. Perry will take you through some of the commonly made mistakes by cruising sailors in mainsail, genoa and cruising gennaker trim. Perry is one of North Sails' longest-term veterans, with over 33 years in the Midwest loft. With a background in math, he grew up family cruising, and later spent three months cruising around Europe w/ his fiancée. He has also proven himself on the race course with over a dozen National or North American titles, in various fleets ranging from the S2 7.9 (4 times), T-10, J/30 & J/35, IOR 1/2, 3/4, & 1-Ton Cups, and the MORC Internationals. 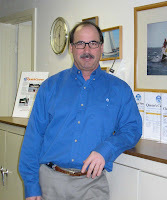 He enjoyed participating in the 2010 J/80 "World Tour", ending with successful J-80 Worlds in Newport RI. Perry is also one of the inaugural Mackinac "Double Goats", having completed over 30 of both Chicago & Port Huron-Mackinac races, and having won overall ten times. Seminar: How often have you thought someday….? 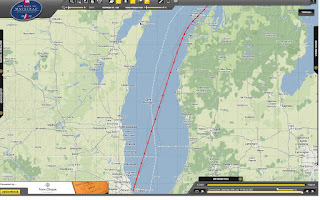 Matt and Emmy Gallagher will take you through their plan of how they went from “Someday” to “Today” when they cast off their spring lines and headed North in the annual distance classic- The Chicago Yacht Club Race to Mackinac. (OK. Perhaps there were a few more steps) Get a first-timers perspective on having done the 103rd. Isn’t it time you said: “I’m in!”. 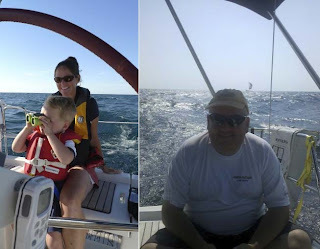 Matt & Emmy Gallagher own Endeavour, a 2008 Beneteau Oceanis 37 purchased from Karma Yacht Sales. Since purchasing the boat, they have cruised it throughout Lake Michigan with their two children, Charlie (4) and Maggie (2). 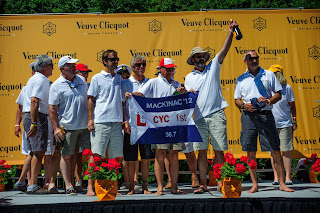 In 2011, they start racing Endeavour, participating in the cruising division of the 103rd running of the Chicago Yacht Club Race to Mackinac as well as the Verve Cup and CYC's Belmont Beer Can series. Both Emmy and Matt sailed on friends boats following college. Endeavour is their first boat. 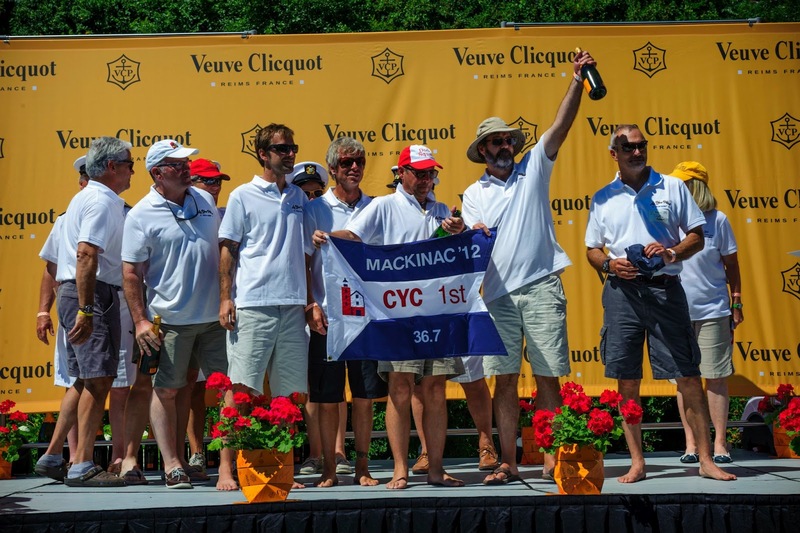 They are also active members of the Chicago Yacht Club, where Matt chairs the Communications Committee and serves on the Membership and Mackinac Committees. 12:30pm to 1:30pm Presented by Roy Cohen, President- Superior Marine Service, Inc.
Seminar: Nothing brings trepidation to the heart of a sailor than when you turn on the engine and you get no response from your “iron genoa” Many of the common issues can be prevented with … you guessed it- an ounce of preventative maintenance. Mr. Cohen takes you through some of the common issues with new or old diesel engines. Hear it from the expert and minimize the ‘Oh popsicle sticks! !’ effect. Mr. Cohen brings over 43 years of hands on experience in internal engine repair and service. Superior Marine Service (SMS) is a factory authorized service center for OMC Stern Drive, Johnson and Evinrude Outboards, MerCruiser Stern Drives, Nissan Outboards, Tohatsu Outboards and Yanmar Diesel engines. They are a fully authorized sales and service center for Beta Marine, Westerbeke and Universal gasoline & diesel engines and service location for Algae-X diesel fuel cleaning systems. 2006 Gold dealership service award. 2006, Top 25 dealership award from Tohatsu Outboards. 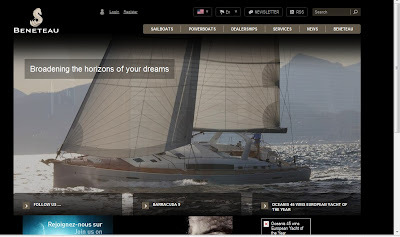 A New face around Karma Yacht Sales! Welcome Cate Muller! (CHICAGO, IL) –Karma Yacht Sales, LLC- your Lake Michigan Sailboat dealer specializing in Beneteau is pleased to announce that Ms. Cate Muller will be joining the yacht sales team effective immediately. Ms. Muller recently completed her training as a certified Beneteau Sales Specialist in keeping with the Platinum dealer requirements for Beneteau USA. Most recently Cate was the Sailing School Program Director at Milwaukee Yacht Club and before that she was a Sales & Marketing Assistant at Harken Yacht Equipment in Pewaukee, WI. Ms. Muller stared sailing career sailing Opti’s at the Columbia Yacht Club Junior sailing program and as time went on, she graduated to 420’s and then Lasers. She has raced competitively at the collegiate level where she was the captain of her sailing team and served in leadership positions as President of the Midwest Collegiate Sailing Association. As of late, she races in the Melges 24 class and is the tactician aboard her parent’s boat DAS BOAT, a Beneteau First 40.7. She continues in leadership positions for the sport of sailing-serving as the Lake Michigan Fleet Captain for the Beneteau First 40.7 fleet. 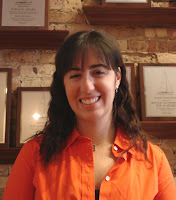 Cate is a member of Chicago Yacht Club and Milwaukee Yacht Club. Cate attended Latin School of Chicago and graduated from Marquette University in Milwaukee with a B.A in Public Relations. Cate resides in Milwaukee, WI. 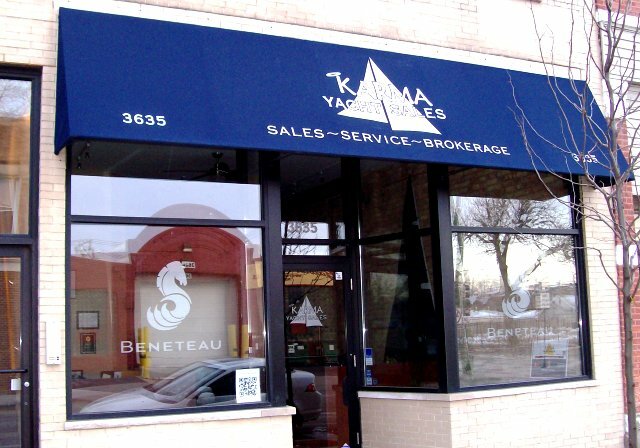 About Karma Yacht Sales: Karma Yacht Sales is entering its 10th year of representing Beneteau sailing yachts on Lake Michigan. A recipient of Benteau’s Platinum dealer status, KYS is a full service dealership providing new boat sales, service and brokerage on Lake Michigan and throughout the Great Lakes. A recipient of Beneteau’s 2011 Dealer of the Year Award, KYS focuses on providing excellent customer service and has been recognized for their commitment to their clients by being perennial recipients of the Beneteau President’s Award for Sales & Service over the past decade. Living up to their motto: ‘Waves of good fortune follow admirable actions’ KYS is a supporter of youth and educational initiatives in their surrounding community. 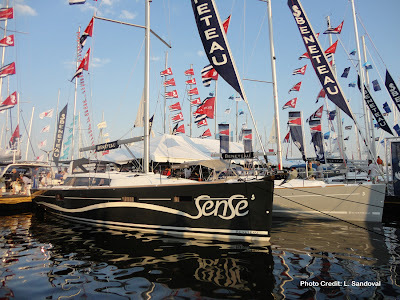 About Beneteau USA: Beneteau USA, the American division of the world’s largest sailboat manufacturer, builds hundreds of 31-50 foot production sailboats in Marion, SC and imports sailing and power yachts up to 58 feet in length from its parent company in France. To Learn more about Cate visit the KYS site.